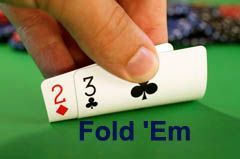 Friday's announcement of a massive indictment against 11 big wigs in the world on online poker follow a predictable pattern: Earlier busts and flips. Looking at today's indictment, available here, it's obvious there was an earlier, preceding indictment. The case is numbered 10-cr-336 which means it was filed in 2010. And today's indictment is called a "Superseding Indictment."